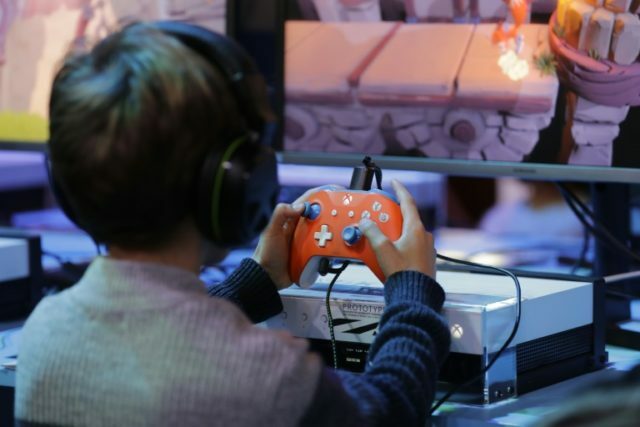 San Francisco (AFP) – Video game industry representatives will trek to Washington Thursday to persuade lawmakers that virtual violence does not trigger real-world lashing out, amid a reignited gun debate in the wake of the latest horrific school shooting. The meeting between US President Donald Trump and the Entertainment Software Association (ESA) trade group comes less than a month after a teenaged gunman bearing a semi-automatic weapon shot dead 17 people at his former Florida high school. In the aftermath of the attack Trump pointed to video games as a possible contributing factor to the firearms violence plaguing the nation. But the ESA says gaming is “plainly” not at fault, wielding data showing no established link between games and violence in the flesh. “Like all Americans, we are deeply concerned about the level of gun violence in the United States,” the ESA said in response to an AFP inquiry about the upcoming White House meeting. Video games are calculated to be a $100 billion a year global business by market intelligence firm NewZoo. Thursday’s meeting comes five years after Joe Biden, then vice president, met with the ESA, heads of major video game companies, and researchers as the nation grappled with Connecticut’s Sandy Hook massacre that saw 20 primary school-age children gunned down. Following that shooting the National Rifle Association singled out video games as the true danger to society. Both the American Psychological Association (APA) and the American Academy of Pediatrics (AAP) have taken a stance in recent years against children and teens playing violent video games. But a rising number of academics question the evidence of a link between gaming and aggression, and more than 200 scholars joined to speak out against an APA report affirming such a connection. It is not the first time video games have come under scrutiny: a high-profile 1993 congressional hearing spearheaded by Democratic senators targeted games including “Mortal Kombat” and “Night Trap” for violent play, with some lawmakers saying the games encouraged or desensitized minors to brutality and bloodshed. A later effort by California officials to ban sales of violent video games to children was struck down by the US Supreme Court in 2011 on the grounds that, like books and films, games are protected by constitutional rights to free speech. DeLoura said blaming video games that feature brutal play might stem from the “gut-feelings” of adults watching children engage in virtual battles, rather than hard data. “What’s causing shootings is guns are so accessible that when you have an impulse, you can act on it,” he said. With a gun culture that runs deep, America is deadlocked over how to stem the scourge of mass shootings. But video games, the industry holds, are innocent. “Blaming video games for violence in the real world is no more productive than blaming the news media for bringing violent crimes into our homes night after night,” the ESA says on its website. Video game play is booming as spectator sport, with fans flocking to arenas for tournaments as well as watching matches online. The association notably cites data trends showing that violent crime, particularly by young people, has declined in the US since the early 1990s — even as video games have flourished. “The rise of this conversation again isn’t about facts, it isn’t about research,” said DeLoura in a recent blog post.